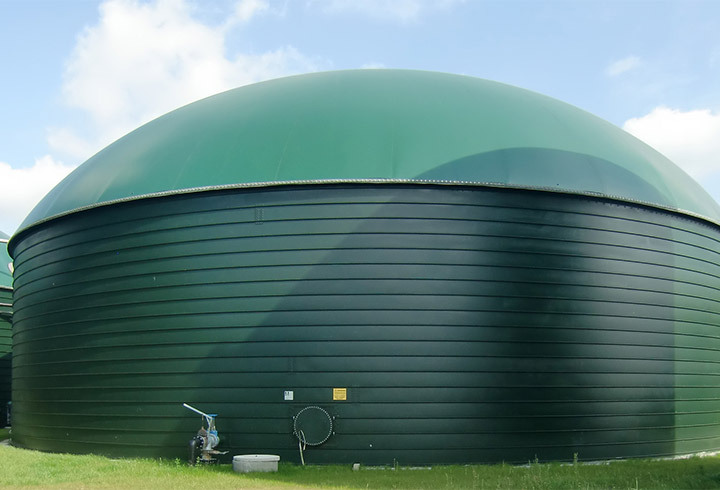 sewage gas, landfill gas, biogas, air, etc. 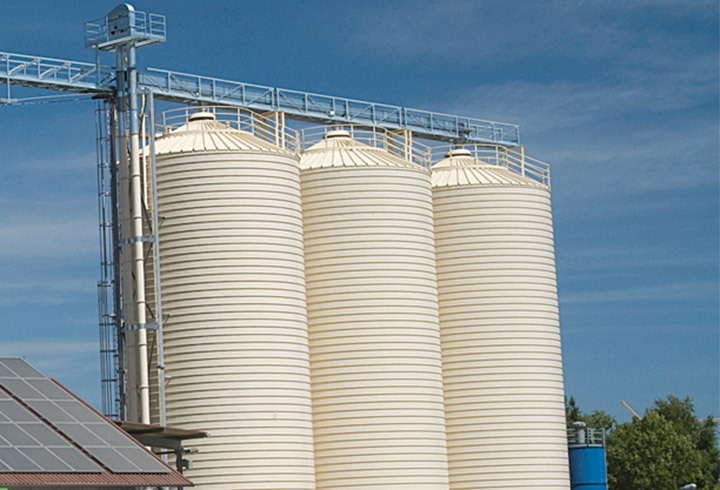 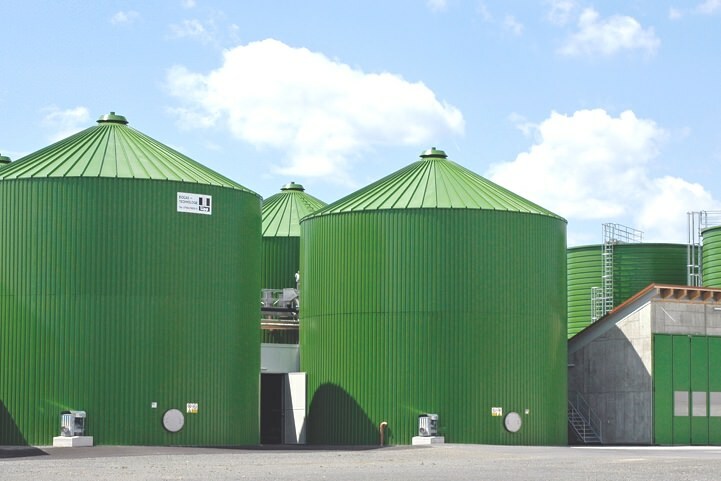 Tanks used for storing problematic substances need to be covered safely in order for them to meet air pollution requirements, which have been considerably tightened up over the past few years. 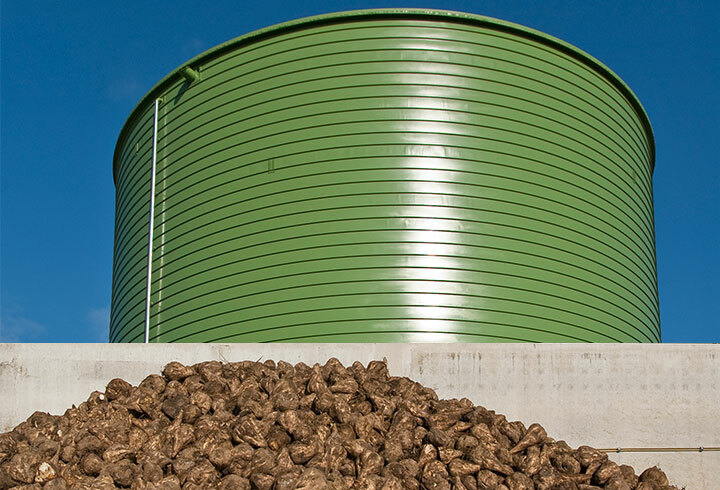 These requirements relate to municipal waste water disposal as well as the chemical, pharmaceutical and food-processing industries. 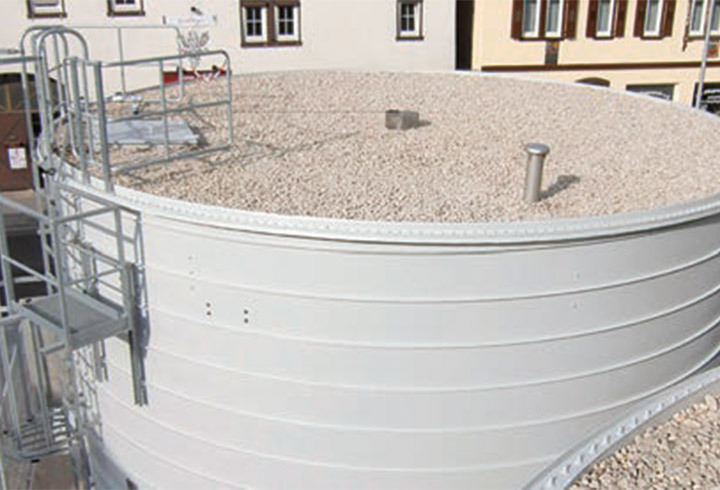 The Lipp stainless steel diaphragm cover is the perfect choice for covering existing steel or reinforced concrete tanks as well as tanks constructed using the Lipp Double-Seam System. 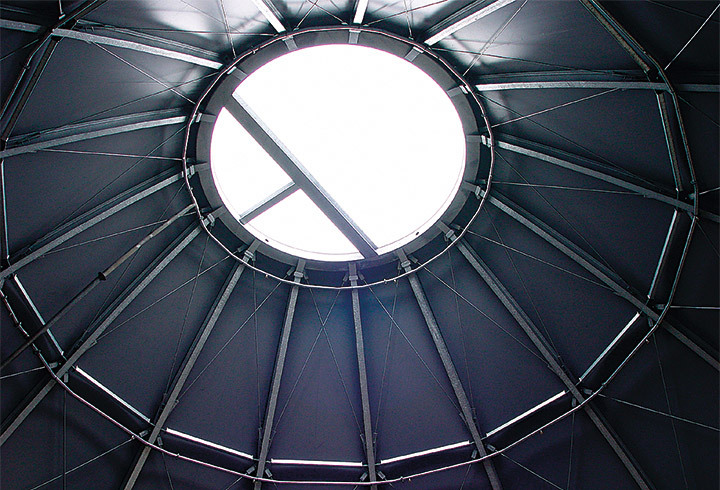 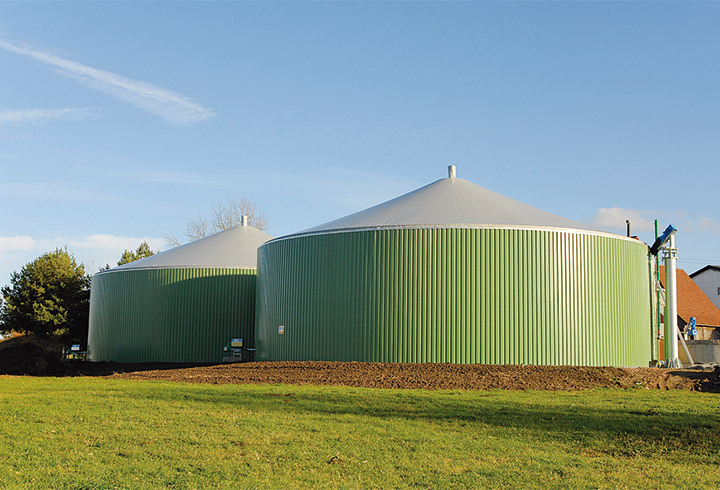 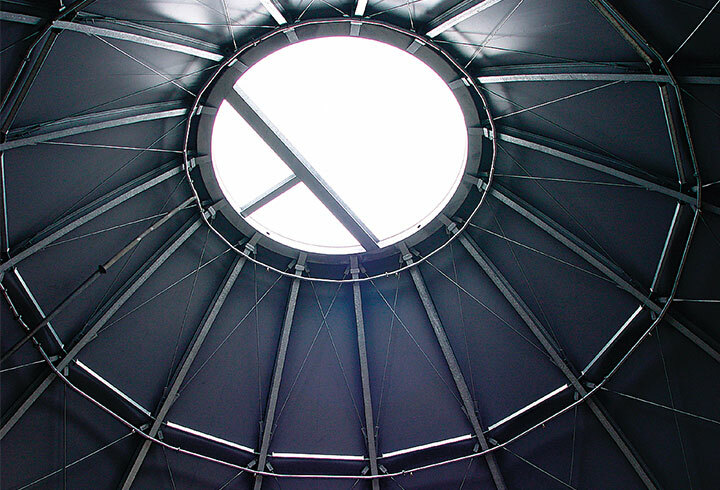 The self-supporting, lightweight diaphragm construction made of stainless steel – with high mechanical strength and resistance to ageing – enables tanks with diameters of up to 50 m to be spanned. 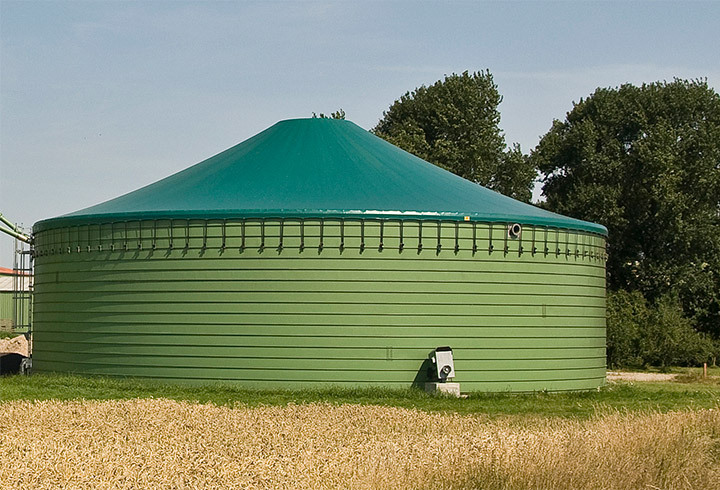 The stainless steel not only provides support but also seals off the tank and can withstand snow loads and high winds. 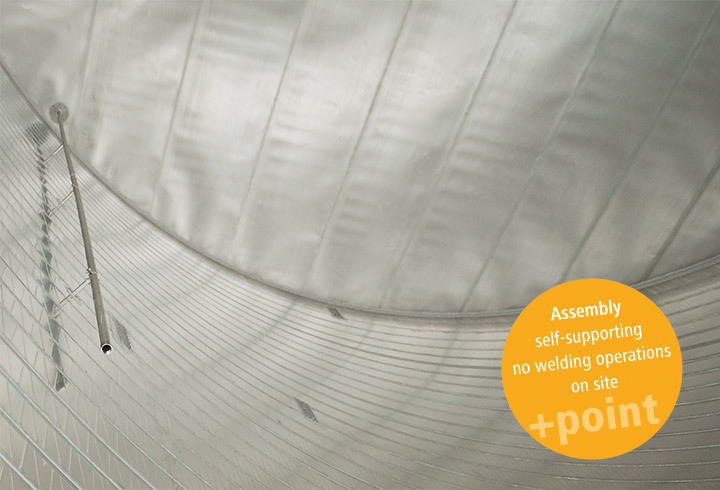 The Lipp stainless steel diaphragm cover is corrosion-resistant, gas and vapour diffusion-tight and provides reliable protection against UV radiation and mechanical damage. 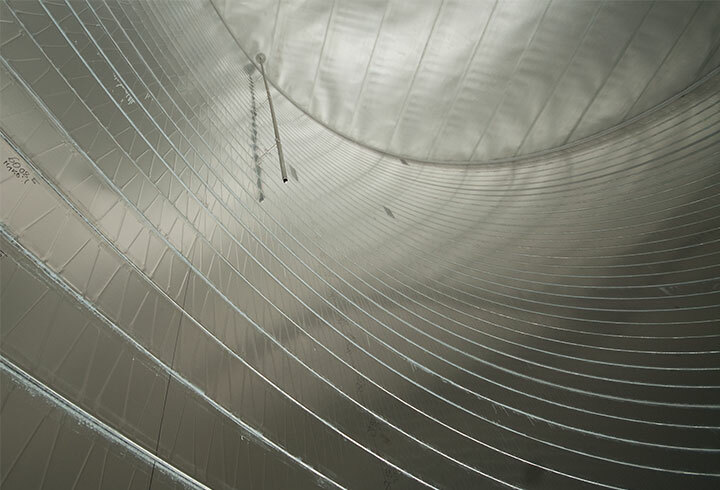 The lightweight design of the diaphragm makes it ideal for covering volatile and explosive substances and prevents components from flying around in the event of an explosion. 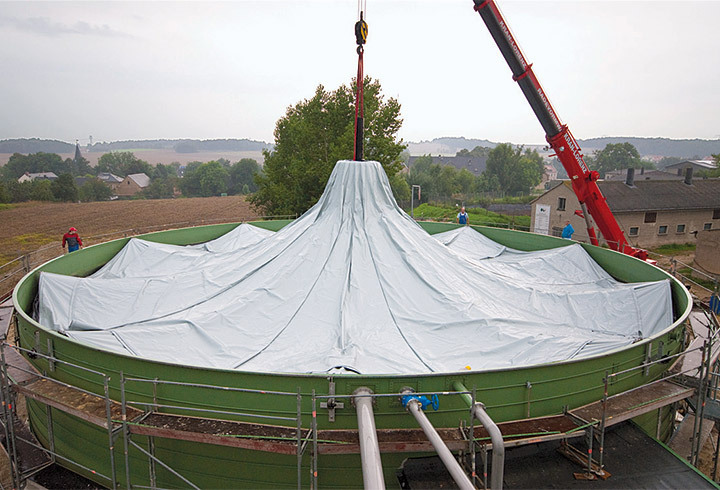 Prefabrication of the diaphragm at the factory eliminates the need for welding work to be carried out at the construction site.